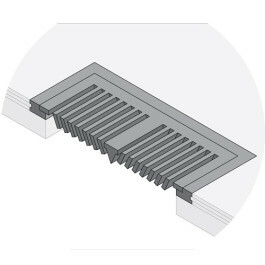 Flush Mount Vent Registers provide a seamless transition with your hardwood floors. These vents offer ample airflow and a distinct look. Matching wood vents create a high-end custom coordinated look with your nail-down or glue-down installation. Please note: Certain dimensions are only available in some species. For custom dimensions please contact our office. Dimensions: 9/16" x 4" x 12"